This tour is a journey of 11 days to the most important Inca sites of southern Peru. 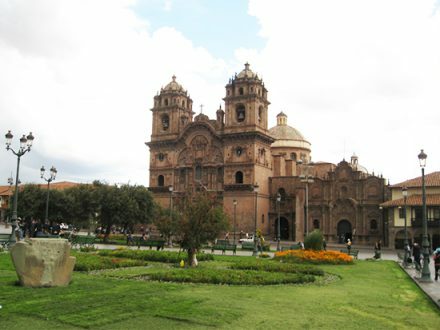 We begin this excursion through Incaland in Cusco, where you will get the chance to discover the city through a city tour. From Cusco, we go to the magnificent Sacred Valley of the Incas, where you will get a first impression of the amazing landscapes Peru has to offer. The next highlight of our journey is a visit to the famous Machu Picchu. Returning to Cusco, we continue our journey to Puno next to the Titicaca Lake. After enjoying the highest lake in the world, we drive to Chivay to witness the majestic Condors in the Cruz del Condor. From there we travel to Arequipa, the white city of Peru. Our next-to-last destination is Nazca, where you will be able to observe the Nazca Lines from a plane. This journey through the south-Peruvian Incaland ends in Lima. The travel program below is meant to be a standard program for people who just have little time to visit Peru and want to see as much as possible within the available time period. For people who like to take things a little easier, free days can be added. If you would like to do a tour that is more developed to satisfy your needs, please contact us and we can discuss the options. On this first day, we will pick you up at the airport or at the bus terminal. Your guide will wait for you to welcome you to Cusco and bring you to the Amaru Group Hostels. We advise you to take an early flight, so you can take it easy in the morning and get used to the altitude (especially if you come from sea level). 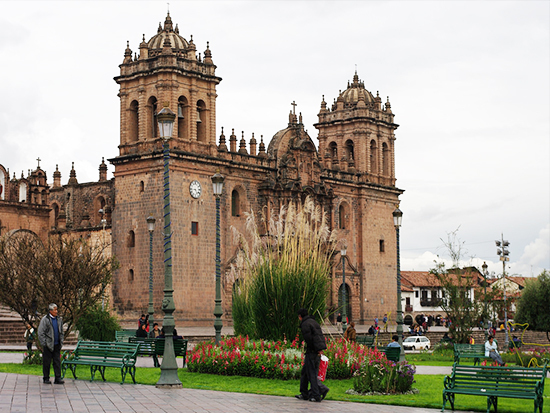 This tour starts with a free day in Cusco. 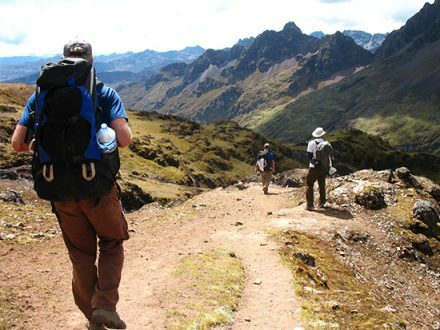 Green Peru Adventures offers you a free city walk of 2 hours. You can participate in this walking tour or discover the city yourself. According to your wishes and needs, you can for example visit a museum, go out for eating, have a Pisco Sour, visit a market or just walk through cozy Cusco. If you choose to acclimatize and rest on your first day, you can also participate in the walking tour on the second day in the morning, before the city tour starts. We stop in the town Urubamba for lunch (we recommend a lunch buffet of Peruvian food). After a short rest we keep going until we reach Ollantaytambo, one of the last living Inca towns. You will be amazed by the impressive Temple of the Sun with its intricate stone worked details, the terraces which are constructed to sustain the mountain and finally the temple in shape of a llama. Then you will have a short time to explore this amazing complex with its beautiful water fountains by yourself. Machu Picchu gate opens at 06:00, so arriving early you will be one of the first visitors of the day, avoiding the crowds. In case you don’t want to wake up early, please take the bus at 7 am. At 07:45 am your bilingual tour guide will take you around the vast ruins for about 2.5 hours, comprehensively explaining the historical significance of Machu Picchu and its importance in the Inca Empire. At 06:30 am, we will pick you up and transfer from your hotel in Cusco to the private bus station of the Wonder Peru Tourist Bus, which will take you to Puno. These tourist buses are fully equipped with services and a professional English speaking guide who will explain you the local history and traditions on stops along the way. For example, we stop at the Sistine Chapel of South America in Andahaylillas, in Rhachi and in Puca Pucara (entrance to the 3 sites is not included = total US$12.00). We include a lunch buffet in Sicuani and afterwards stop at the spectacular viewpoint of La Raya, at 4338 m.a.s.l. on the border between Cusco and Puno. You will arrive at Puno around 05:00 pm and get a briefing for the next day’s tour around 07:00 pm. The tour duration is two days and one night, starting with a visit to the floating Uros Islands and then Amantani Island where you can watch the pre-Inca temples dedicated to the fertility of the earth (Pachamama and Pachatata). The tour begins at 07:15 am when we will pick you up from your hotel and then take you to the local city port from where you will be shipped to the islands. Located 35 minutes by boat from the port of Puno, the Uros Islands comprise a group of islands mostly made of reed which is also used to make houses and boats. The inhabitants of the “Uros” are very friendly people who are cordial with visitors. Amantani, located 36 km from the port of Puno (three hours by boat), is an island composed of eight communities engaged in the agriculture of corn and quinoa, as well as crafts that are representative for their culture. The island has two natural viewpoints with a very unique view over the majestic Lake Titicaca. You will have lunch in one of the community restaurants and then descend the 535 stone steps to the local port to return to Puno. Arriving in Puno, we will transfer you to your hotel. At 06:00 am, you will be picked up from your hotel by our local representative in Puno. Afterwards we will board a tourist bus of Turismo Sillustani and drive north west, leaving behind the gorgeous scenery of the Lake Titicaca. The bus service is first class with a professional tour guide on board. Along this paved road, we will drive through small towns and discover beautiful lagoons called Lagunillas, as well as we will see trout farms and Andean flamingos amongst many other Andean birds on the shores. Following an ascending road, we will reach the zone of Viscachani where we will stop to stretch our legs, use the bathroom if needed and drink a typical coca tea or coffee at the local restaurant. Afterwards, we will continue ascending a dirt road until we reach the highest point of our trip, “The Lookout Point of the Andes” at 4800 meters. At the very top, we will get off of the bus for a few minutes to observe the landscape with the Ubinas volcanoes in the background including Mismi, Misti, Chachani, Sabancaya (active) and Ampato. Later on, we will drive downhill to the main town of the Colca Canyon, Chivay (3600 meters). Our final bus stop will be at the main square of Chivay. Upon your arrival, you will meet our representative and then join your travel mates to share lunch and transfer to your hostel. 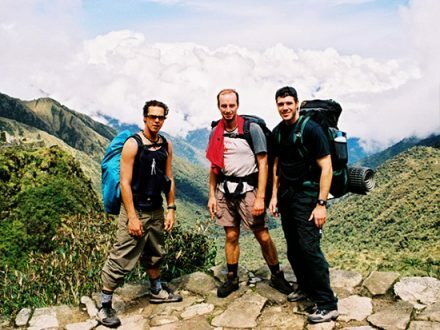 (On this program, you will actually join a group who started the Colca Canyon Classic Tour in Arequipa). You will have some time to relax before joining a short walk to the hot springs, close to 30 minutes from the hotel. Calera is one of the nicest hot springs in Peru where you can enjoy the warm natural water with about 35° C/ 95º F, the great outdoor pools surrounded by huge mountains and, with a bit of luck, some Condors returning to their nests. After sunset, we will return to the hotel. Optional, a dinner show can be organized by your tour guide. In order to see the mighty Condor, today you will wake up at 05:00 am! You will have breakfast until 06:00 am and then we start our journey towards the Cruz del Condor, a natural lookout point where you can see the flight of the Condors. (We won’t return to the hotel, which means you must bring all your possesions with you on the bus!) On the road, we will have the best view over the Colca Valley, as we drive along the edge of the Canyon. On the route, we will see ancient terraces which are still used by local farmers who grow many varieties of corn and potatoes. We will make some stops along the way where our local guide will give us a good insight into the Colca Canyon history. Here, you will stumble across many great rocks; we can discover ancient architectures carved into the terraces and find out, which parts of the Canyon were once suitable for cultivation. Also, this is a good place to see the Colca River and the hanging pre-Inca tombs. After approximately 2 hours we will reach the Cruz del Condor, where we will spend approximately an hour, observing the beautiful flight of the Condors as well as the depth of the Canyon. Eventually, we will return to Chivay, passing typical towns along the way. At around 12:00 noon, we will stop at a local restaurant at Chivay for lunch and afterwards take the road to Arequipa. We will arrive at Arequipa around 05:00 pm. Upon your arrival, you will be transferred to your hotel. Today, you have free time to discover Arequipa until the evening. Arequipa is also named the white city of Peru because of the many beautiful white houses, churches and other buildings. Later, around 05:00 pm, we will transfer you from your hotel to the private bus terminal of Cruz Del Sur from where we will start our journey to Nazca. The night bus from Arequipa leaves at 06:00 pm and arrives approximately at 07:00 am in Nazca. In the bus you will receive a small meal, a drink, a pillow and a blanket to make your trip more comfortable. This is a first class bus, but we can also organize you a VIP bus to Nazca. You will arrive to Nazca at approximately 07 :00 am. 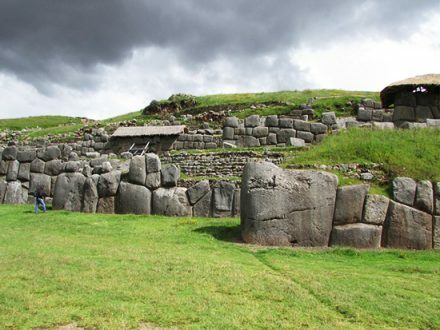 We recommend you to buy the General Tourist Ticket that allows you to visit 15 places, including the ruins of Cusco and the museums. Otherwise you can purchase a one day partial ticket which allows you a one day visit of just the Sacred Valley sites including Pisac, Ollantaytambo and Chinchero. This is in case you are not planning to visit any of the Cusco sites. If you want to climb Huayna Picchu, you have to make your reservation at least 6 weeks beforehand! Please do not give candies or lollies to the kids on the islands! 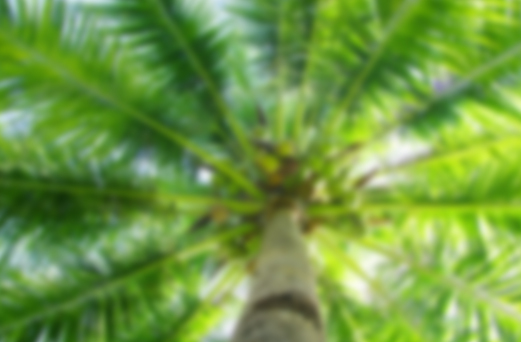 They really appreciate oranges and other fruits as it is impossible to grow them on the islands and it will conserve both their teeth and the environment.